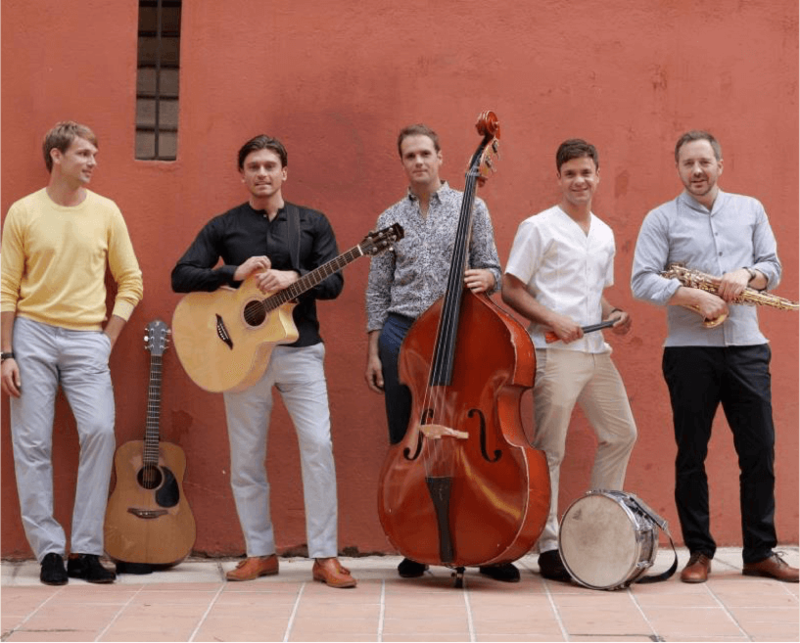 The Gypsy Queens are a truly impressive band that has had a meteoric rise in the private party and international circuit. The band started off busking on the streets with their huge repertoire of classic songs. They became famous in the private party circles with the likes of Elton John, Rod Stewart Quincy Jones and Prince Harry and were soon signed to Universal Music. The Gypsy Queens are comfortable getting amongst their audience; singing to them, with them, at them, in a dynamic, energetic and utterly charming way. 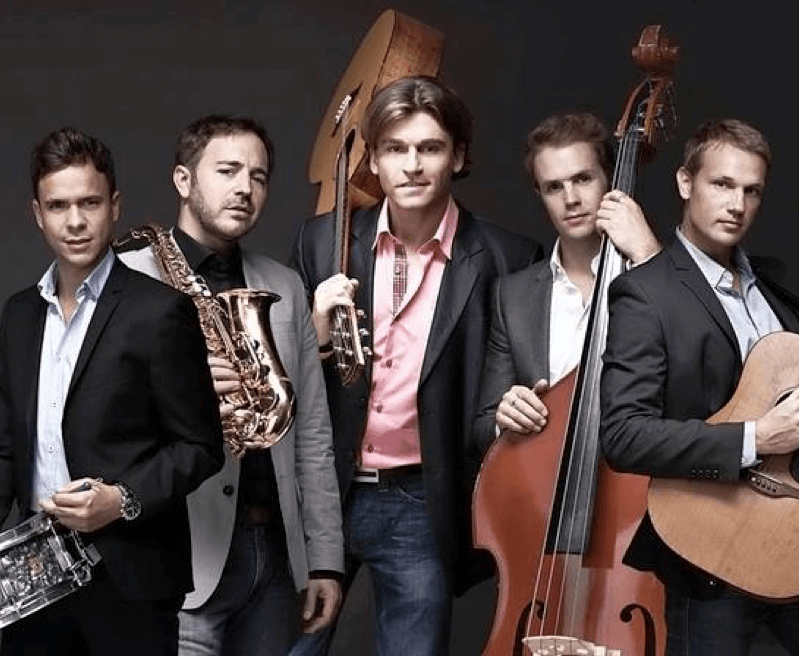 Whether they perform on a grand scale or in an intimate setting, a band consisting of an Italian singer, a British double-bassist, a Mexican drummer, an American saxophonist and a Norwegian guitarist is an outfit worth seeing. With all there international influences, the band is something special.